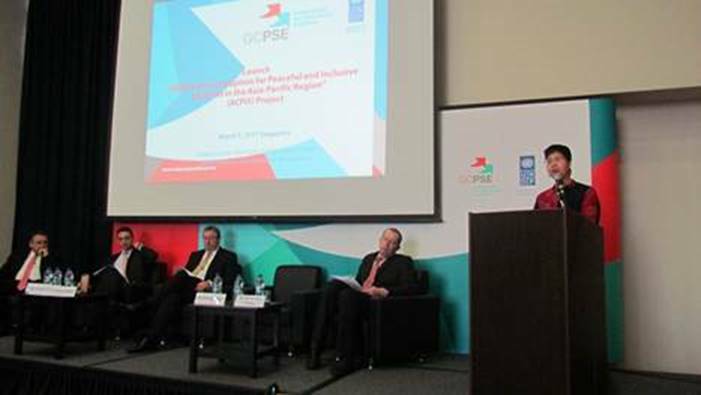 Bangkok, 13 Jun 2014 – Six innovations to tackle anti-corruption in Asia and the Pacific have won awards in the United Nations Development Programme (UNDP)’s first-ever social innovation initiative in the region launched in Thailand this week. The countries with winning ideas that will now be funded by UNDP for a pilot-phase are Pakistan, the Philippines, Thailand, Indonesia, Viet Nam, and China. The proposals were judged on their ability to integrate anti-corruption efforts with development solutions, with a specific focus on women, youth, and marginalized communities. The challenge drew proposals from 14 countries ranging from UNDP country offices to partner non-government organizations. A high-level panel of governance and innovation experts judged them on their applicability and their ability to sustain themselves beyond seed funding. 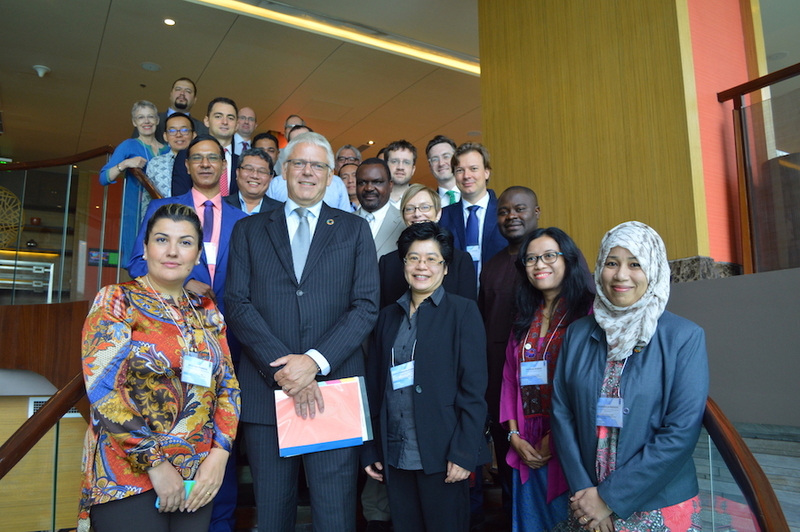 A joint effort of UNDP’s Global Anti-Corruption Initiative (GAIN) and the UNDP Asia-Pacific Regional Centre (APRC), the Social Innovation Initiative announced the awardees at a regional dialogue on “Transparency, Accountability and Voices against Corruption” that ended on June 13. 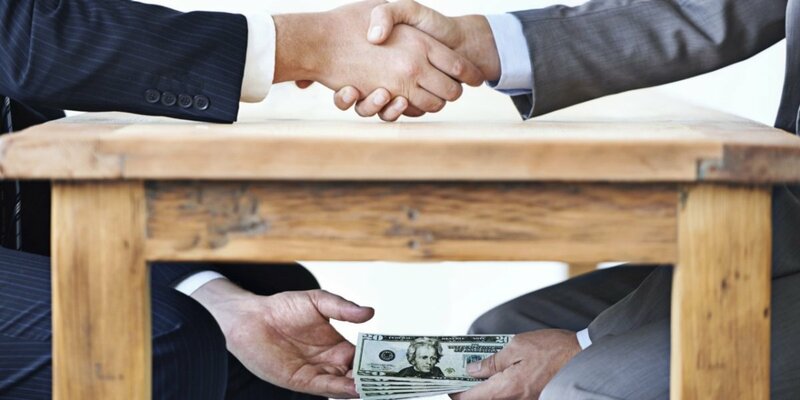 “Signing conventions is not enough, and we’ve also seen that having singular approaches to addressing anti-corruption is not enough: we have to take a much more innovative and integrated approach,” said Caitlin Wiesen, who heads UNDP’s Asia-Pacific Regional Centre. 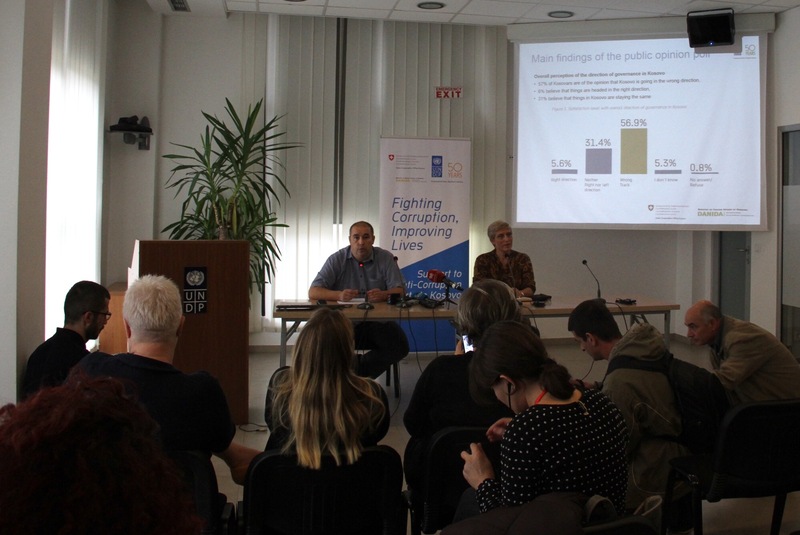 Corruption disproportionately impacts at-risk groups of the poor, especially women, Wiesen pointed out at the launch of the two-day dialogue that brought together over 70 participants from 27 countries. “At the moment, citizens in my country, especially marginalised groups, have no access to information on public expenditures in their districts. Through our project, they will have access to this information – and for the first time they will be able to judge how well and representatively they are being governed,” said Syed Hashim Zaidi, Project Officer, UNDP Pakistan, who co-developed one of the winning projects. Each of the awarded projects will now receive funding of US$25,000 to US$50,000 to roll out their projects in a pilot phase, the results of which will determine whether UNDP goes on to scale-up the solution in partnership with governments and other national actors. The initiative will launch a Citizens’ Information and Accountability Forum in the province of Punjab, one of two local governments in Pakistan that have passed Right to Information (RTI) laws. The Forum is a citizens-led group that will review district development plans and budgets in order to promote government accountability and transparency. The Forum will submit RTI requests to gain access to all relevant public documents and hold government officials accountable at public hearings it will organize. It will conduct monthly meetings and site inspections to check the progress of publicly funded projects and raise any issues with the appropriate government body. In the long run, the Forum intends to change how development planning happens at the district level, allowing citizens greater say and scrutiny in public expenditures. With UNDP Pakistan as lead organizer, the Forum will have representatives of youth, women rights organizations, minority groups, bar associations, traders association, farmers association, teachers association, NGOs, community based organizations, university faculty, and press clubs. UNDP also will partner with the Punjab district government, particularly its Information Commission, to ensure its ownership of the initiative. To be set up in three strategic areas, Citizen Empowerment Hubs will address a major challenge in the Philippines: disaster management. Natural disasters here are now more frequent and severe. Most affected are local communities, especially their most vulnerable groups — women and children. The initiative will pilot the Hubs in building the capacity of grassroots women to map and monitor service delivery, with a distinct focus on local response to disasters. Key to the initiative is increasing partnerships between grassroots women and local authorities so that women become more visible in local decision-making, including budget planning, for disaster risk reduction. Implementing partners are the Government Watch (G-Watch) project of the Ateneo School of Government, Damayan ng Maralitang Pilipinong Api (national federation of 217 grassroots organizations), the Huairou Commission, Department of the Interior and Local Government, Government of the Philippines, and UNDP Philippines. This initiative will expand “Refuse To Be Corrupt”, a social enterprise of the UNDP-led Thai Youth Anti-Corruption Network (TYACN). The enterprise is part of a broader strategy to influence youth attitudes to corruption and is a joint project with True Coffee, the largest locally owned chain of coffee shops in Thailand. TYACN will scale-up “Refuse To Be Corrupt” cafés in Khon Kaen University and Ubon Ratchathani University. Each café will give college students a space and a command centre where young people can sit down and discuss issues, share their views with peers, organize multi-media events, and map out plans to tackle corruption in their universities and the wider communities. The World Economic Forum recognized “Refuse To Be Corrupt” as a Creative For Good best practice that presented an inspiring and effective public education campaign to instil social change. This initiative will set up an Innovation Laboratory for Youth Participation in anti-corruption, as a tool to promote youth engagement in corruption prevention in China’s higher education sector. Among the initial activities will be a national student design competition on innovative anti-corruption plans to curb the spread of corruption in the higher education sector, with technical advice from UNDP. Winning plans will be piloted in selected member universities of the China Integrity Education Network (CIEN). The proposed initiative scales up a UNDP project that currently supports a nationwide integrity innovation competition among 10 member universities of the CIEN, in consultation with the Beijing Education Commission and the Guangdong Education Department. The scale-up doubles the number of participating universities to 20. This initiative will pilot-test a prototype Corruption Tracking Tool to help address the high prevalence of corruption in Indonesia’s extractive industries. The Tool is a user-friendly handbook that can help local governments track stages vulnerable to corruption in both the processing of mining permits and the implementation of mining concessions. 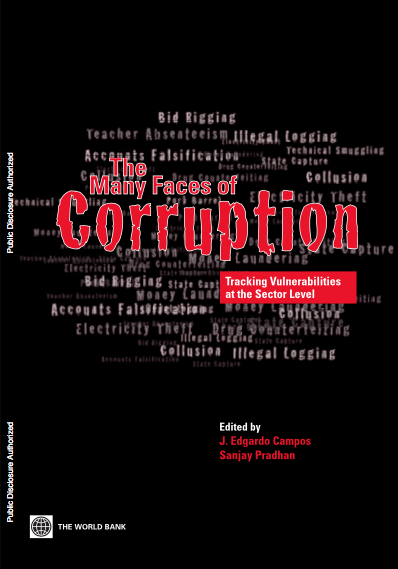 The Tool will identify the capacities and resources needed to reduce corruption strategically. It also will pinpoint the potential benefits to local governments and stakeholders once a corruption problem is resolved. Intended for piloting in two local governments, the Tool will be developed by UNDP Indonesia in close partnership with the two pilot local governments, the Corruption Eradication Commission, the National Development Planning Agency, and the Ministry of Energy Mineral Resources. The initiative will strengthen the role and participation of civil society organizations in anti-corruption work in Viet Nam. It will focus on two groups: local people’s supervision boars and news media practitioners. 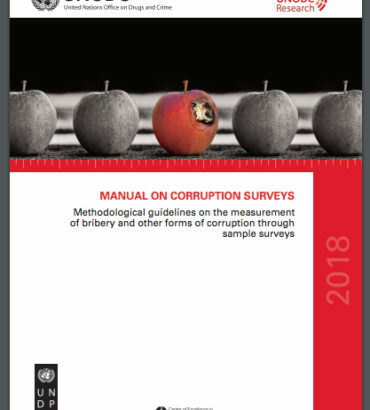 For the people’s supervision boards, the initiative aims to improve their knowledge on inspection law, the anti-corruption law, and related government policies; train them on policy monitoring, and monitoring and handling of complaints; and, provide them practical tools (such as handbooks and checklists) to do inspection work. News media practitioners will benefit from training for investigative journalists on anti-corruption laws and investigation skills, and the regular sharing of updated information on corruption and anti-corruption activities. Partners in the initiative are UNDP Vietnam, the Government Inspectorate of Viet Nam, and civil society groups. Note: This story first appeared in the UNDP Asia-Pacific Regional Centre website.